It’s Student Week on the ONB Blog! Sadly, we must say goodbye to our summer co-op students this week. Timed with the wrap-up of their ONB tenure, all of this week’s content comes from our students. The old saying “experience is the best teacher” is probably the truest thing ever said about the work environment. This is why now more than ever, professional work experience is crucial for university graduates heading into the work world. Beefing up your resume isn’t the only value of an internship or co-op term, however. Working in a professional environment has a much greater value. 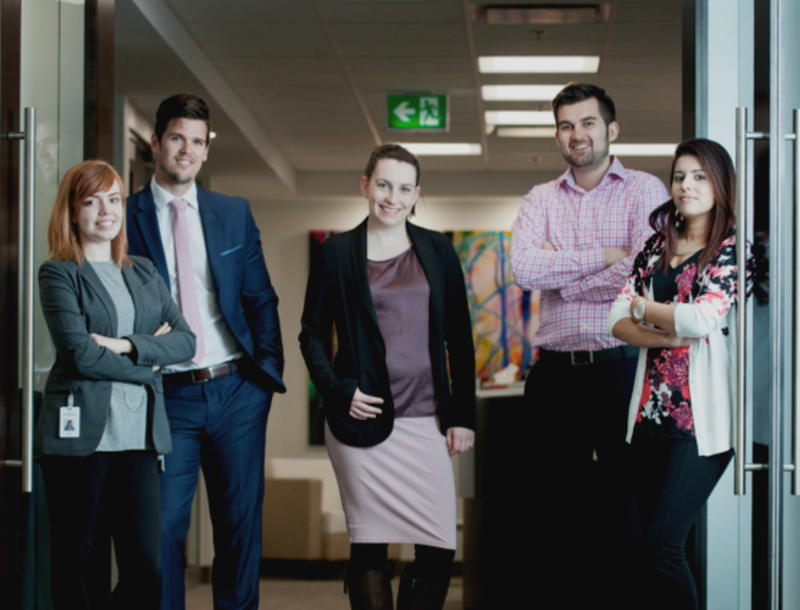 As ONB summer students, we’ve seen what work experience can get you, and what it means for our futures. Network, network, network. As challenging as it can be to put yourself out there, networking is key to making the most out of your work term. Make friends with your coworkers, and do your best to contribute positively to the office culture. Have conversations with those who work outside your department. Be curious about people’s lives and what they do. Offer to sit with someone new at lunch. Add everybody on LinkedIn. This helps both expand your knowledge and find areas in which you can contribute where you didn’t expect. Find mentors and don’t be afraid to go to the people with the big desks and window offices for advice. The more you advocate for yourself and ask questions, the more involved you will be, and the more chances you will have to take on important projects. Most of us learn not just from our own experiences, but from observing others. How do your colleagues treat clients and coworkers? What is their email writing style? How do they present themselves in a business environment? What standards do they hold for themselves and others? Of course, you can sometimes learn what not to do this way, but observing and taking cues from colleagues will help polish your professionalism. How you present yourself is key in what your parents refer to as “the real world.” The more you learn to talk the talk and walk the walk, the easier it will be to shift gears from “student” to “recent graduate.” This doesn’t just extend toward how you dress and your office etiquette. Making tough but smart choices (like not going to Wednesday night bar trivia when you have to wake up at 6 am) is something you learn when you’re in this position. Taking advantage of these learning opportunities will provide you with tips and tricks on how to get ahead. It also helps expand your networking circle and enhance your relationship with your colleagues and others in the business environment. Be helpful and provide solutions. Pay attention to the small details. Manners and courtesy go a long way towards making you an integral part of your team. Volunteering to do extra work or helping with less glamourous tasks like cleaning out the supply closet may not seem like the best use of your time. But if you weren’t doing it, somebody else in the organization would. If you do a good job and keep a positive attitude, people will notice. Often, what scares us about getting a real job after graduation is fear of the unknown. While nothing will eliminate first day jitters, once you’ve had a taste of what it’s like to work in the grown-up world, the prospect of finding and starting a job in a professional environment will be less daunting. With all of this in mind, we feel that as students, our experience working at ONB has been incredibly fulfilling. We understand there are students who don’t get the kind of opportunity that we have been lucky enough to have this summer. So we are appreciative of the chance to learn and develop our skills in these positions. It has been truly rewarding to work with such friendly and helpful people and to get to work in a professional organization. Although we have all had a variety of experiences in each of our placements, we all share the common benefit of working in the “real world” before graduating. On behalf of all the students, we are extremely thankful to ONB for giving us this experience and we are grateful to have worked with so many wonderful people along the way.